Schwab Advisor Services released the results of its Independent Advisor Pulse survey (or IAOS Wave 25), which reflects responses from 778 registered investment advisors (RIAs) whose assets are custodied with Schwab. Schwab released its Q4 2018 Retail Investor Sentiment Report, which reflects that client outlook for the U.S. stock market is shifting, with 52% feeling bearish compared to 41% a year ago. 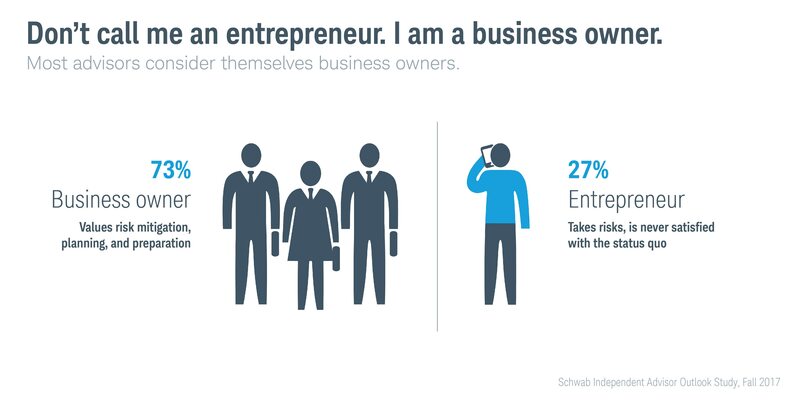 The report is based on a survey of about 860 Schwab retail clients. Schwab Advisor Services’ RIA Compensation Report reflects responses from the annual RIA Benchmarking Study and offers a comprehensive look at compensation practices in the independent financial advice industry. Schwab Advisor Services’ Spectrum of Independence Study surveys 152 U.S. financial advisors who have considered becoming independent registered investment advisors. The data provides insights into the considerations and expectations of advisors as they evaluate a move to independence. 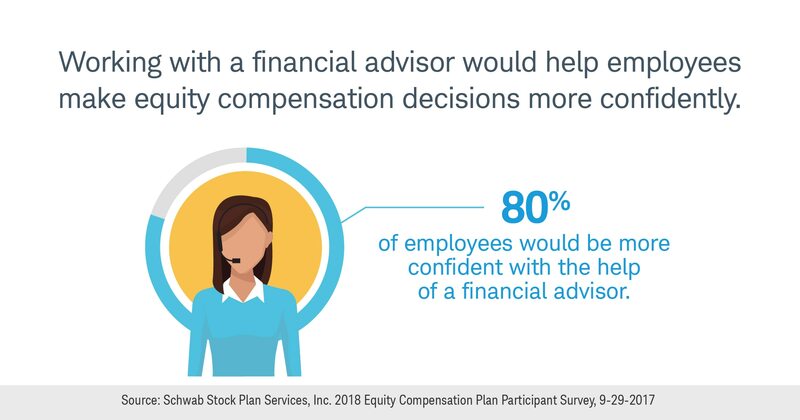 A new survey from Schwab Stock Plan Services reveals that equity compensation accounts for a significant portion of participants’ net worth, with many employees’ portfolios overweighted in company stock even though they state they regularly rebalance their investment accounts. According to the nationwide survey of 1,000 equity compensation plan participants who receive stock options or restricted stock awards and/or participate in employee stock purchase plans, equity compensation accounts on average for nearly 30 percent of employees’ net worth. The Rise of Robo examines peoples’ outlook on robo advice, its potential impact on how they invest, and its impact on the financial services industry overall. This new study of independent advisors by Charles Schwab Investment Management, Inc. (CSIM) explores advisor attitudes and behaviors when it comes to investing decisions. Schwab Advisor Services released the results of the 24th Wave of its Independent Advisor Outlook Study (IAOS), which reflects responses from 783 registered investment advisors (RIAs) whose assets are custodied with Schwab. RIA acquirers maintain the lead as top buyers, while the gap closed between strategic acquiring firms and private equity firms. Analysis by Schwab Advisor Services shows that new independent advisor firms that registered with the SEC in 2017 represent $84 billion in assets under management. Charles Schwab’s Consumer Digital Demands is a survey of American consumers and robo advisor users regarding their preferences, sentiment, and experiences interacting with technology and people across a range of life activities and experiences, including investing and financial planning. 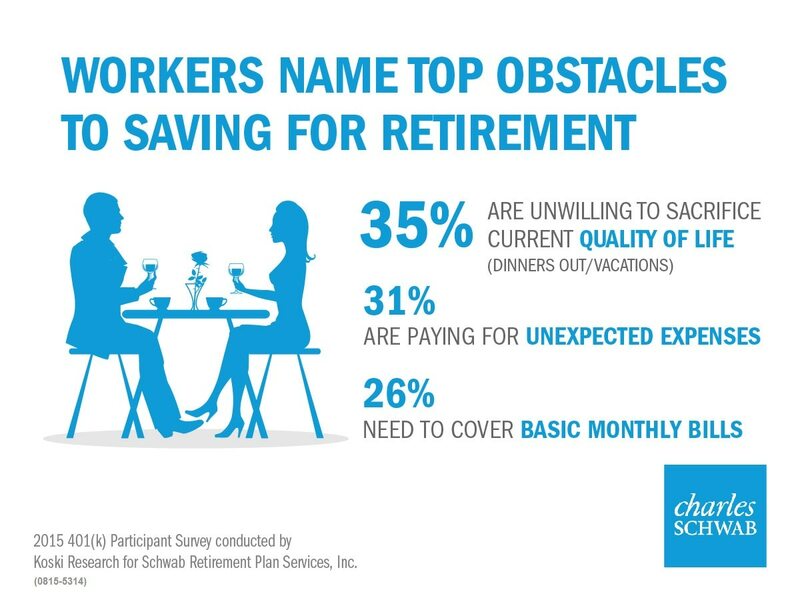 New research from Schwab Retirement Plan Services, Inc. reveals that, despite having a positive outlook for retirement, American workers regret past spending and are concerned about being able to ultimately save enough for their golden years. The nationwide survey of 1,000 401(k) plan participants finds that while 70 percent believe their quality of life in retirement will be better than that of both their parents and their children, saving for retirement is still their number one source of financial stress. Schwab studied the financial attitudes and behaviors of 2,000 Millennials and Gen Z a decade after the onset of the financial crisis. Today’s young adults are optimistic about their future financial success but demonstrate behaviors that suggest they may be unprepared for the realities of achieving it. 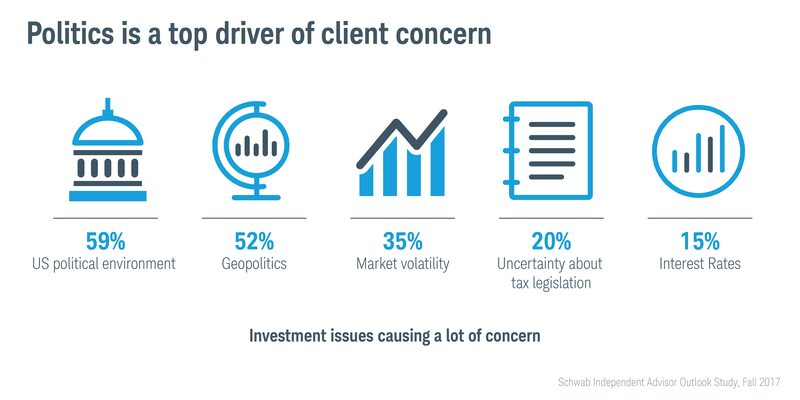 Schwab released its Q1/Q2 2018 Schwab Wealth Management Monitor report in which 44% of retail investors are feeling bullish, yet the U.S. political climate tops their concerns about investing. 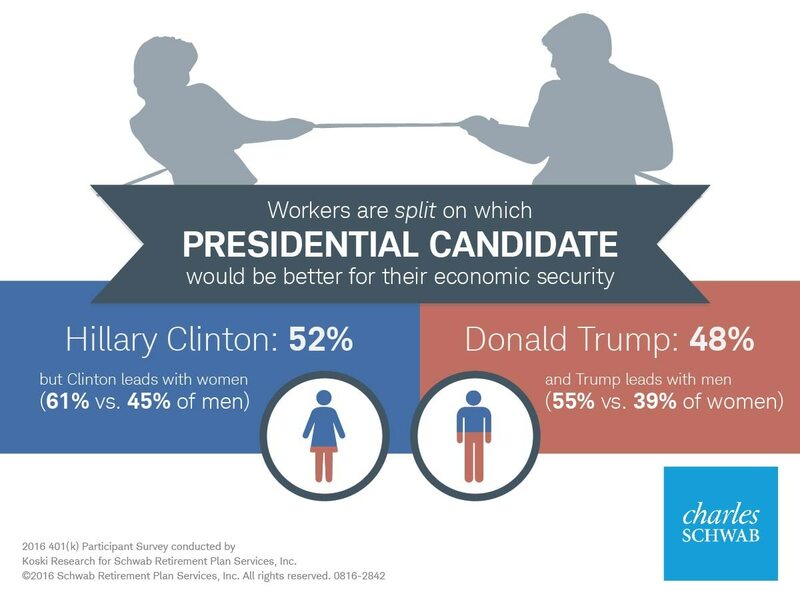 The report is based on a survey of nearly 1,000 Schwab clients. The 2018 RIA Benchmarking Study by Charles Schwab is the leading study of its kind in the RIA industry. The study features insights based on self-reported information on topics such as asset and revenue growth, sources of new clients, products and pricing, staffing, compensation, marketing, technology, and financial performance. Now in its twelfth year, more than 1,261 independent advisor firms representing over a trillion dollars in AUM participated in this year’s study. A new survey from Schwab Independent Branch Services finds that while financial professionals are generally optimistic about their careers, they desire more independence. 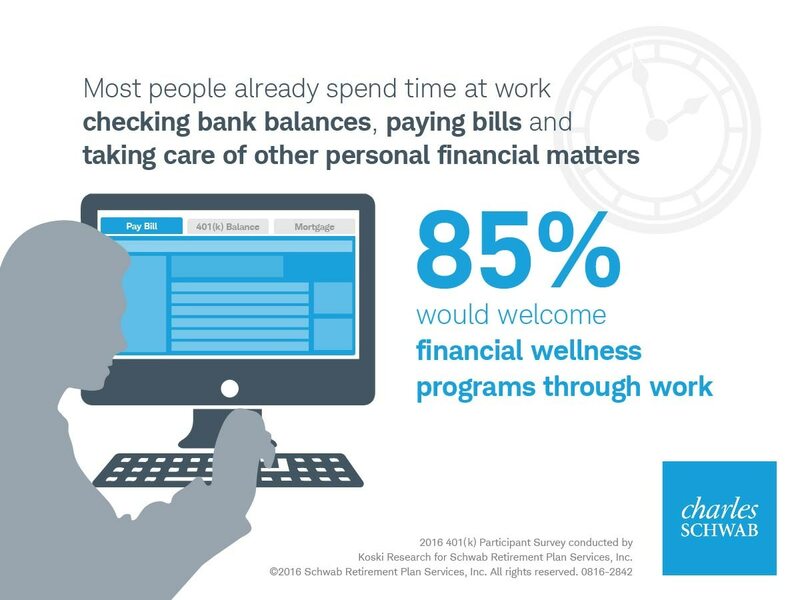 The survey reflects responses from 994 client-facing financial professionals. Schwab Advisor Services released the results of its Independent Advisor Pulse survey (or IAOS Wave 23), which reflects responses from over 600 Registered Investment Advisors (RIAs) whose assets are custodied with Schwab. More than half of Millennials would consider placing their entire investment portfolio (excluding cash) in Exchange-Traded Funds (ETFs) in the next year, according to the 2018 ETF Investor Study by Charles Schwab. ETFs are the investment vehicle of choice for 91% of Millennial investors. And, more than half (56%) of investors in that generation say they have already replaced all individual securities in their portfolios with ETFs. A thousand Americans participated in Schwab’s 2018 Modern Wealth Index, an assessment that scores participants between 1–100 based on how well they manage their money and investments across four factors: 1) goal setting and financial planning, 2) saving and investing, 3) staying on track, and 4) confidence in reaching financial goals. Americans received an average Modern Wealth Index score of 50. 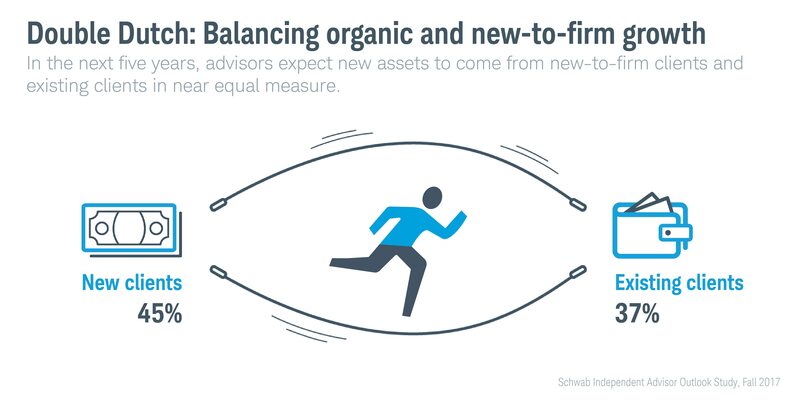 Schwab Advisor Services released the results of a study that looks at the motivations, mindset, and experiences of financial advisors who have recently made the transition to the independent model (“sophomores”). More than 90% of advisors would make the decision again and are happier now that they are independent. M&A activity maintained momentum in 2017, with $1 billion+ deals becoming the new normal. 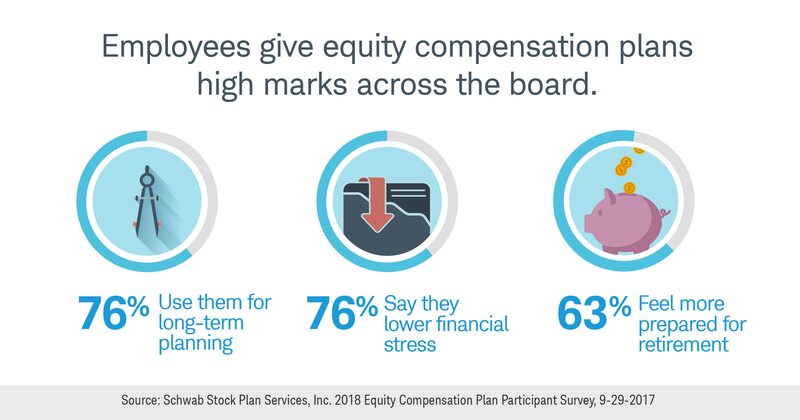 A new survey from Schwab Stock Plan Services reveals that employees who participate in equity compensation plans see the long-term value of the benefit but are afraid of making a mistake when exercising employee stock options or selling shares. According to the nationwide survey of 1,000 equity compensation plan participants who receive incentive stock options, restricted stock awards, and/or participate in employee stock purchase plans, just 24% have exercised employee stock options or sold shares that are part of their equity compensation. Fear of making a mistake is a concern for nearly half (48%). Schwab released its Q3/Q4 2017 Schwab Wealth Management Monitor report in which 60% of retail investors say they feel better off financially as compared to a year ago. The report is based on an analysis of retail client data and a survey of around 1,000 Schwab clients. Schwab Advisor Services released the results of the 22nd Wave of its semi-annual Independent Advisor Outlook Study (IAOS), which reflects responses from 946 Registered Investment Advisors (RIAs) whose assets are custodied with Schwab. Analysis of 2016 SEC registration data by Schwab Advisor Services shows a 75% increase in the number of new SEC registrations since 2012. Schwab research for the first half of 2017 shows billion-dollar-plus deals are helping fuel continued merger and acquisition momentum in the independent advisor industry. More than 4 in 10 ETF investors say that ETFs will be the primary investment vehicle in their portfolios in the future and 60% of millennials expect to increase their investments in ETFs in the next year, according to the 2017 ETF Investor Study by Charles Schwab. The study is the seventh installment of an annual online survey of more than 1,200 individual investors between the ages of 25–75 with at least $25,000 in investable assets who have purchased ETFs in the past two years. 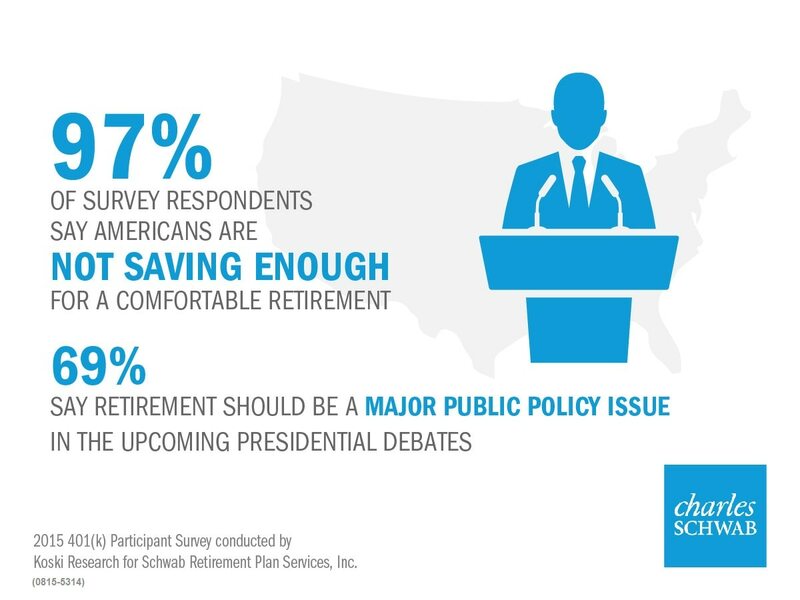 A nationwide survey from Schwab Retirement Plan Services, Inc. reveals that everyday money matters are dramatically impacting the lives and retirement saving efforts of Americans. The survey of 1,000 workers with access to a 401(k) plan—half of whom are actively contributing to it (“savers”) and half of whom are not (“non-savers”)—reveals that non-savers are increasingly challenged by day-to-day financial stresses, compounded especially by credit card debt. The Schwab Wealth Management Monitor is a retail client behavior and sentiment report covering the first half of 2017. The report represents more than seven million retail client accounts and approximately $1.5 trillion in assets. The 2017 RIA Benchmarking Study by Charles Schwab is the leading study of its kind in the RIA industry. The study features insights based on self-reported information on topics such as asset and revenue growth, sources of new clients, products and pricing, staffing, compensation, marketing, technology, and financial performance. Now in its eleventh year, more than 1,321 independent advisor firms representing nearly three-quarters of a trillion dollars in AUM participated in this year’s study. To help track how well Americans across the wealth spectrum are planning, managing, and engaging with their wealth, Schwab developed the Modern Wealth Index, which is grounded in Schwab’s Investing Principles and assesses Americans across four factors: 1) goal setting and financial planning, 2) saving and investing, 3) staying on track, and 4) confidence in reaching financial goals. On a scale of 1–100, Americans received an average Modern Wealth Index score of 49. Schwab Advisor Services released the results of the 21st Wave of its semi-annual Independent Advisor Outlook Study (IAOS), which reflects responses from 912 Registered Investment Advisors (RIAs) whose assets are custodied with Schwab. 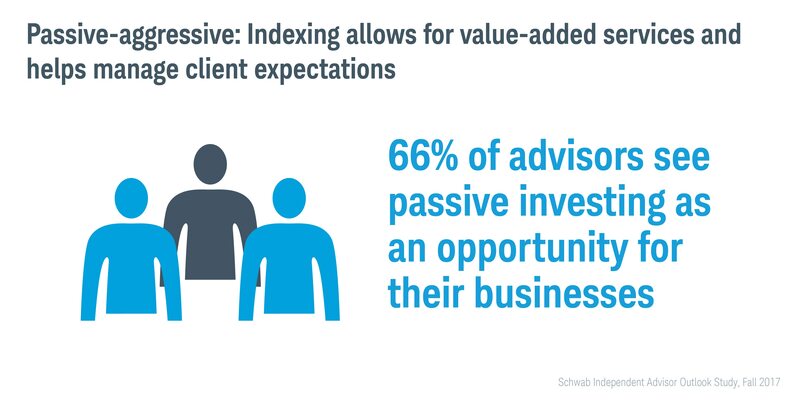 Schwab research shows that the vibrant independent advisor industry marketplace maintains transactions at record levels. Seattle residents are overwhelmingly optimistic about their city’s rise to prominence as a global technology leader, according to a second annual survey conducted by Charles Schwab & Co. The survey of 1,000 Seattle area residents found that nearly all (94%) agree that their city is now a global technology hub. Three-quarters of those surveyed believe Seattle’s local economy is outperforming the national economy, and nearly half (46%) say the growth of Seattle’s tech scene is the biggest driver of that economic growth. Charles Schwab Advisor Services released the results of the 20th Wave of its semi-annual Independent Advisor Outlook Study (IAOS), which reflects responses from 957 Registered Investment Advisors (RIAs) whose assets are custodied with Schwab. The local cost of living is a drag on many Chicago residents, according to the third annual survey by Charles Schwab. Of 1,000 Chicago area residents surveyed, over half (55%) say the Windy City is one of the worst areas in the country when it comes to cost of living. More than twice as many (43%) say that living in Chicago hurts their ability to reach their financial goals as compared to those who say it helps (16%). 47% cite keeping up with monthly expenses as their biggest source of stress. Schwab research shows the RIA industry merger and acquisition activity for the first half of the year on pace to surpass the 2015 record as private equity permeates the market. Both individual investors and Registered Investment Advisors (RIAs) say ETFs have positively changed the way they invest and both groups plan to increase investments in these products in the years to come, according to the 2016 ETF Investor Study by Schwab. The study is the sixth installment of an annual online survey of more than 1,000 individual investors between the ages of 25-75 with at least $25,000 in investable assets who have purchased ETFs in the past two years. For the first time, Schwab also included a sample of 312 RIAs registered with RIA Database who have bought or sold an ETF in the last two years. 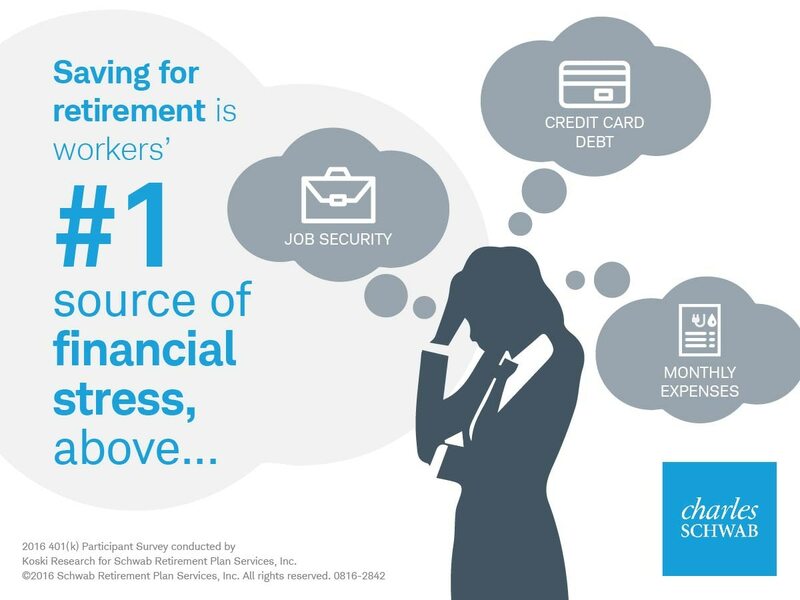 A nationwide survey of 1,000 401(k) plan participants from Schwab Retirement Plan Services, Inc. finds that saving enough money for a comfortable retirement is the most common financial stress inducer for people of all ages. 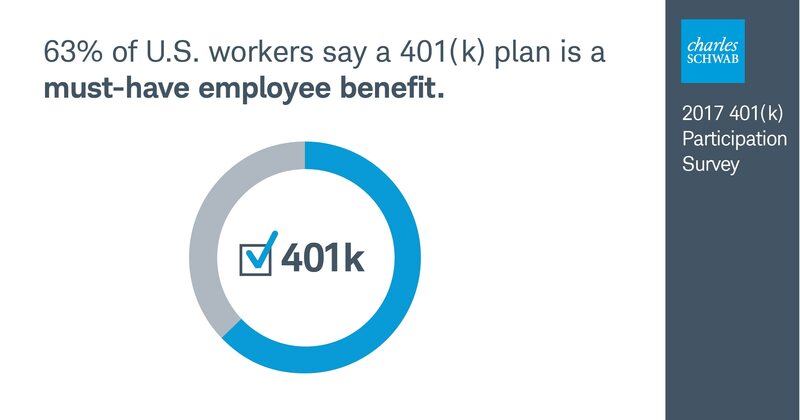 The survey also reveals that most people view the 401(k) as a “must-have” workplace benefit and believe they would benefit from professional saving, investment, and financial guidance. Dallas residents are overwhelmingly upbeat about the state of the local economy, according to a new survey by Charles Schwab. In a survey of 1,000 residents in the Dallas-Fort Worth metropolitan area, nearly all (96%) say they believe the Dallas-Fort Worth economy is in as good or better shape than the overall U.S. economy. The primary driver of the area’s strong growth is the increase in the number of company headquarters and corporate campuses in Dallas-Fort Worth, according to survey respondents, and the vast majority (83%) say that’s a positive trend. The 2016 RIA Benchmarking Study by Charles Schwab is the leading study in the RIA industry. The study captures insights based on responses from individual advisory firms, providing self-reported information on topics such as asset and revenue growth, sources of new clients, products and pricing, staffing, compensation, marketing, technology, and financial performance. Now in its tenth year, more than 1,100 advisory firms representing nearly three-quarters of a trillion dollars in AUM participated in this year’s study. Charles Schwab Advisor Services released the results of the 19th Wave of its semi-annual Independent Advisor Outlook Study (IAOS), which reflects responses from 930 Registered Independent Advisors (RIAs) representing more than $300 billion in assets under management custodied with Schwab. While Washingtonians are happy with the state of the local economy and quality of life, they feel financially strapped due to the high cost of living in and around the nation’s capital, according to a new survey by Charles Schwab. In a survey of 1,000 residents in the Washington metropolitan area, which includes all of the federal district and parts of Maryland and Virginia, more than half (58%) believe the D.C. area economy is in better shape than the overall U.S. economy. But 62% of Washingtonians also believe that the D.C. metro area is one of the worst in the country when it comes to cost of living. Investors have questions about the proliferation of smart beta strategies. This piece will address and answer the most commonly asked questions, and offers the Schwab Center for Financial Research’s point of view on topics such as how investors can begin to distinguish among the myriad of smart beta strategies and how to incorporate these strategies into a portfolio. Bay Area residents are confident in the state of their local economy and its future growth, according to a new survey by Charles Schwab. Of 1,000 Bay Area residents surveyed, 70% believe the local economy is performing better than the national economy, and eight out of ten (79%) say the area is continuing to get more prosperous. Although they are optimistic about the local economy, they are less pleased with the cost of living. Nearly all (86%) believe the cost of living in the Bay Area is unreasonable. Schwab research shows the RIA industry reached record levels of merger and acquisition activity in 2015 as advisors continue to focus on growth and establishing legacy. ETFs are becoming an increasingly important part of investors’ portfolios, and according to Schwab, that sentiment will continue to grow. The Schwab ETF OneSource™ 2016 ETF Industry Outlook is an interactive microsite that provides a holistic look at the ETF trends that matter most for investors and advisors. Industry leaders from thirteen different ETF providers contributed to the outlook to deliver an overview of 2015 trends, a 2016 outlook, and implications for ETF investors. Global monetary policy will continue to remain a central focus for market and economic forecasts over the next year according to the Charles Schwab 2016 Market Outlook report written by market experts from the Schwab Center for Financial Research, including Liz Ann Sonders, Chief Investment Strategist; Jeff Kleintop, Chief Global Investment Strategist; and Kathy Jones, Chief Fixed Income Strategist. Brad Sorensen, Managing Director, Market and Sector Analysis; Rob Williams, Managing Director, Income Planning; Collin Martin, Director, Fixed Income; and Michelle Gibley, Director, International Research, also contribute. Seattle residents are overwhelmingly confident in the state of their local economy and its future growth, according to a new survey by Charles Schwab. Of 1,000 Seattle area residents surveyed, 70% believe the local economy is performing better than the national economy. Looking at the next 10 years, many survey respondents believe Seattle will be among the top three fastest growing U.S. cities (41%). Although Seattleites are optimistic about the local economy, they are less pleased with the cost of living. More than three-quarters believe the cost of living in Seattle is unreasonable. A survey from Compliance Solutions at Charles Schwab finds the role of the compliance officer is evolving and growing in scope across corporate America. Among those compliance professionals surveyed, 80% feel their role is valued within their firm and nearly two-thirds (62%) believe they have influence over corporate decisions. The survey also reveals a need for more tools designed to help compliance officers do their jobs more efficiently and effectively. Independent Advisor Outlook Study (IAOS), which reflects responses from 638 Registered Independent Advisors (RIAs) representing $209 billion in assets under management custodied with Schwab. The majority of investors would consider replacing individual stocks and bonds with ETFs. On average, investors already using ETFs are now allocating 21% of their total portfolios to ETFs, and these investors expect that number to jump to 25% in the next five years. Moreover, one-third say ETFs will form the core of their investment portfolios in the future, according to the 2015 ETF Investor Study by Schwab. The study, conducted by Koski Research in August 2015, is the fifth installment of an annual online survey of more than 1,000 U.S. individual investors between the ages of 25-75 with at least $25,000 in investable assets who have purchased ETFs in the past two years. Despite a continued lack of confidence in the local economy, Chicagoans have become more optimistic about the area’s job opportunities and housing market and still see their city as a cultural and business hub, according to a second annual survey by Charles Schwab. Of 1,000 Chicago area residents surveyed, only 19% believe the local economy is becoming more prosperous, a decline from 25% in 2014. 51% of Chicagoans believe the local economy is performing about the same as the U.S. economy overall, but nearly one-third (32%) thinks it is doing worse. Schwab research shows the RIA industry is seeing an uptick in merger and acquisition activity, based on the number of deals as well as the average deal size. A nationwide survey of 1,000 401(k) plan participants illustrates the vital role of 401(k) plans in helping workers save for retirement, but also identifies obstacles to saving effectively and a strong desire among participants for professional help in choosing the right investments. 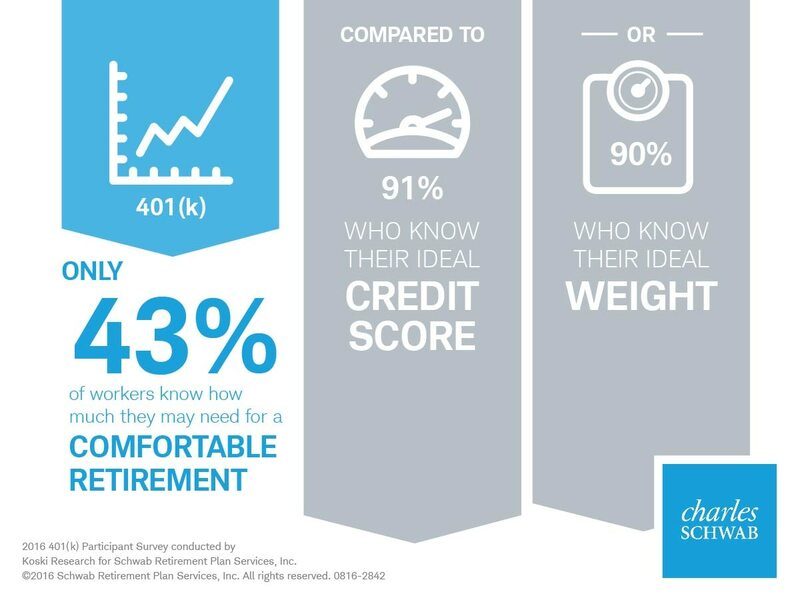 The survey finds that a 401(k) is viewed as an essential workplace benefit and that people are taking saving for retirement very seriously in much the same way they strive to manage their health. 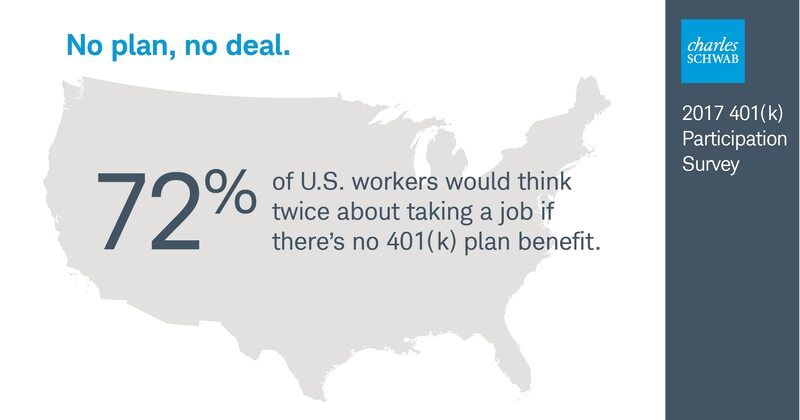 In fact, 90% of respondents said they would think twice about taking a job if the company did not offer a 401(k) plan. Jeffrey Kleintop, Schwab’s Chief Global Investment Strategist, writes about how a global perspective is vital to successful long-term investing. This comprehensive white paper from the Schwab Center for Financial Research explores why a global perspective means adopting a different approach to investing, including looking for investing ideas that span the stocks of many countries and incorporating portfolio allocations to U.S. and international markets. Dallas residents are overwhelmingly upbeat about the state of the local economy, according to a new survey by Charles Schwab. In a survey of 1,000 residents in the Dallas-Fort Worth metropolitan area, nearly all (96%) say they believe the Dallas-Fort Worth economy is in as good or better shape than the overall U.S. economy. The primary driver of the area’s strong growth is the increase in the number of company headquarters and corporate campuses in Dallas-Fort Worth, according to survey respondents, of which 88% believe that the trend has had a positive impact overall. The 2015 RIA Benchmarking Study by Charles Schwab is the leading study in the RIA industry. The study captures insights based on responses from individual advisory firms, providing self-reported information on topics such as asset and revenue growth, sources of new clients, products and pricing, staffing, compensation, marketing, technology, and financial performance. Now in its ninth year, more than 1,000 advisory firms representing nearly three-quarters of a trillion dollars in AUM participated in this year’s study. Charles Schwab Advisor Services released results of its 17th semi-annual Independent Advisor Outlook Study (IAOS), which reflects responses from 629 Registered Investment Advisors (RIAs) representing $229 billion in assets under management custodied with Schwab. A central focus for market and economic forecasts over the next year is the diverging paths of the U.S. Federal Reserve and other central banks, according to the Charles Schwab Mid-Year Market Outlook report written by market experts from the Schwab Center for Financial Research, including Liz Ann Sonders, Chief Investment Strategist; Jeff Kleintop, Chief Global Investment Strategist; and Kathy Jones, Fixed Income Strategist. Brad Sorensen, Managing Director, Market and Sector Analysis; Rob Williams, Managing Director, Income Planning; Collin Martin, Director, Fixed Income; and Michelle Gibley, Director, International Research, also contribute. Nine out of 10 Americans view technology as more of a life necessity than a distraction, but a passion for people persists across the generations, according to a new study from Charles Schwab which finds that people from age 25-75 prefer to rely on a combination of both humans and technology when it comes to dealing with daily tasks and managing their money. 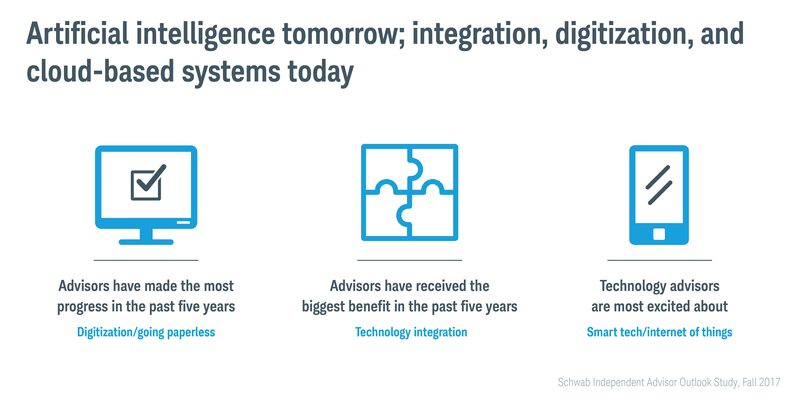 The Charles Schwab “Man and Machines” study asked more than 1,800 affluent consumers across four generations about their interaction preferences for finding answers and solving problems across a range of topics, and although technology won out over people, the result was close. While Washingtonians are happy with the state of the local economy and quality of life, they feel financially strapped due to the high cost of living in and around the nation’s capital, according to a new survey by Charles Schwab. In a survey of 1,000 residents in the Washington metropolitan area, which includes all of the federal district and parts of Maryland and Virginia, more than half (60%) believe the D.C. area economy is in better shape than the overall U.S. economy. But 60% of Washingtonians also believe that the D.C. metro area is one of the worst in the country when it comes to cost of living. The divergence in economic growth and monetary policy between the United States and other developed countries is likely to be a key factor impacting financial markets in the year ahead, according to the Schwab 2015 Market Outlook report written by market experts from the Schwab Center for Financial Research, including Liz Ann Sonders, Chief Investment Strategist; Randy Frederick, Managing Director of Trading and Derivatives; Jeff Kleintop, Chief Global Investment Strategist; and Kathy Jones, Fixed Income Strategist. Charles Schwab Advisor Services released results of its 16th semi-annual Independent Advisor Outlook Study (IAOS) which reflects responses from 740 Registered Investment Advisors (RIAs) representing $243 billion in assets under management custodied with Schwab. Chicagoans view their city as one of the best in the country when it comes to culture and dining, but lack confidence in the local Chicago economy, according to a new survey by Charles Schwab. Of 1,000 Chicago area residents surveyed, 61% believe the local economy is remaining stagnant or getting worse, compared to just a quarter who believe that the Chicago area’s economy is improving. More than three-quarters (77%) of those surveyed do not believe local politicians are doing enough to make the Chicago economy stronger. 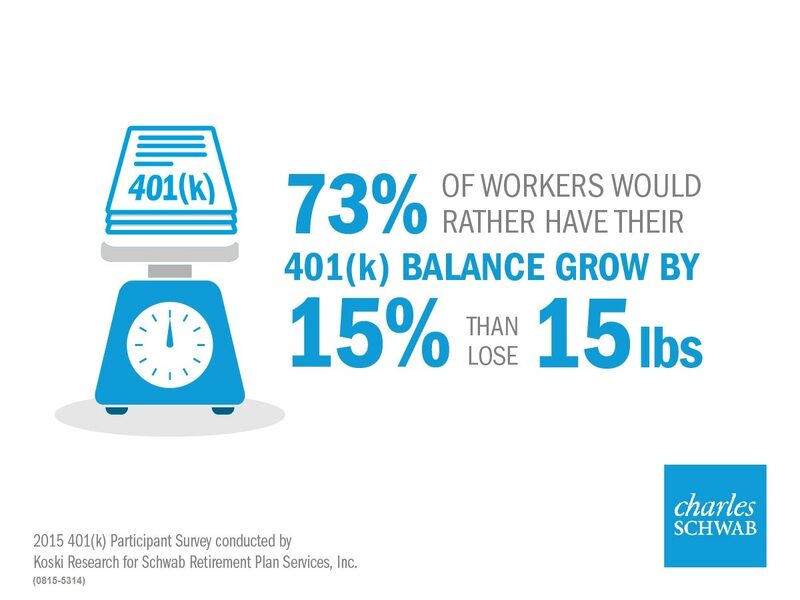 The nationwide survey of 1,000 401(k) plan participants, commissioned by Schwab Retirement Plan Services, finds that a 401(k) plan is considered a crucial benefit by an overwhelming majority. When asked which benefits are “must-haves” aside from health insurance, nearly nine in ten respondents (87%) say a 401(k) is a “must-have” benefit—more than disability insurance (45%), life insurance (42%), extra vacation days (34%), or the ability to telecommute (15%). Even with a perceived proliferation of ETFs on the market today, 66% of investors say there is room for more—and more than a quarter say that more product choice is the industry trend that has been most beneficial to investors over the past few years, according to the 2014 ETF Investor Study by Charles Schwab. The study, conducted by Koski Research in May 2014, is the fourth installment of an annual online survey of more than 1,000 U.S. individual investors between the ages of 25-75 with at least $25,000 in investable assets who have purchased ETFs in the past two years or are considering doing so in the near term. 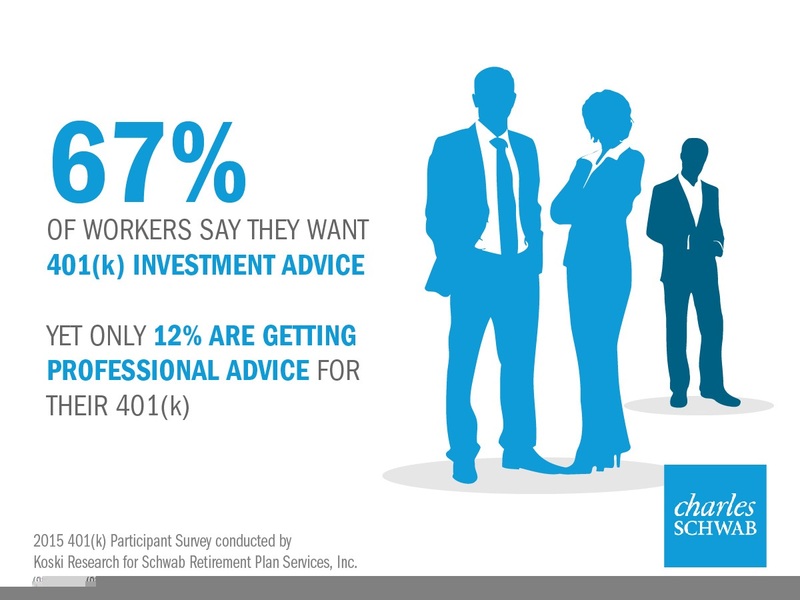 Charles Schwab Advisor Services revealed new Schwab research on "Generation Now"—affluent individuals between the ages of 30 and 45 who are following on the heels of advisors' current pre-retired or retired clients. The majority of American workers in a new survey accept responsibility for financing their own retirement and are relying primarily on their 401(k) to get them there, but many lack the confidence to effectively manage their retirement savings. 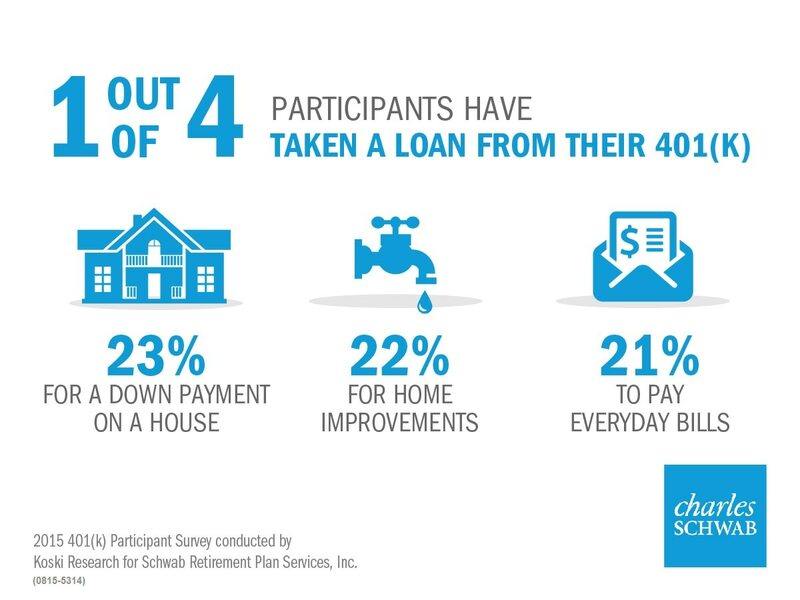 The nationwide survey of more than 1,000 401(k) plan participants, commissioned by Schwab Retirement Plan Services, shows a high level of self-reliance among respondents. Roughly nine in ten (89%) say they are counting on themselves for the money to support their retirement, and just 5% expect to rely mostly on the government for financial help after they stop working full time. How Investors Shop was an online survey of U.S. investors developed to compare and contrast shopping habits around high-ticket household products and consumer items with financial products, including bonds. The survey, conducted by Koski Research for Charles Schwab, was completed by a total of 514 respondents between the ages of 25 and 75 who held a minimum of $100,000 in total investable assets and invested on their own. All respondents had heard of bonds or fixed income investments, and 51% of survey respondents own or have owned individual bonds. A majority of Americans who are highly engaged across many aspects of life also grab hold of the wheel when it comes to investing, according to a new study by Charles Schwab. Around 1,000 Americans surveyed express a significant degree of personal ownership in their everyday lives. The study found that a majority are also highly engaged in investing: nearly two-thirds (61%) are actively involved in their investment portfolios. 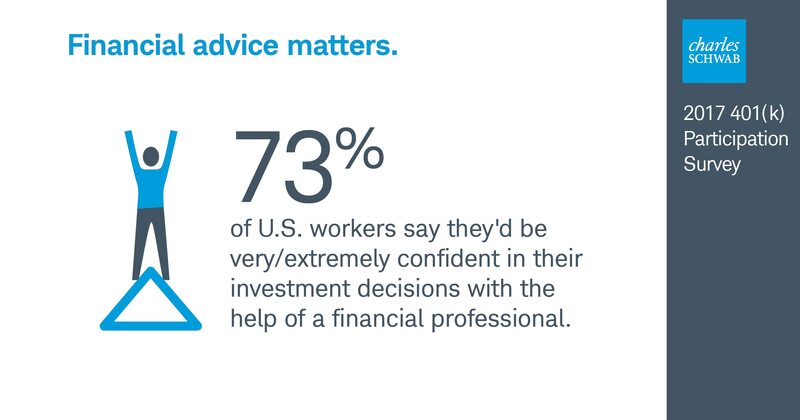 According to a recent study from Schwab, 7 in 10 affluent investors feel today’s financial markets are too complicated to navigate without an advisor. One-third of study participants also say their desire for investment advice has increased in the past year, and three-quarters say they are most confident making investment decisions when they collaborate with their investment professional; just one-third say they feel that same level of confidence when making investment decisions by themselves. 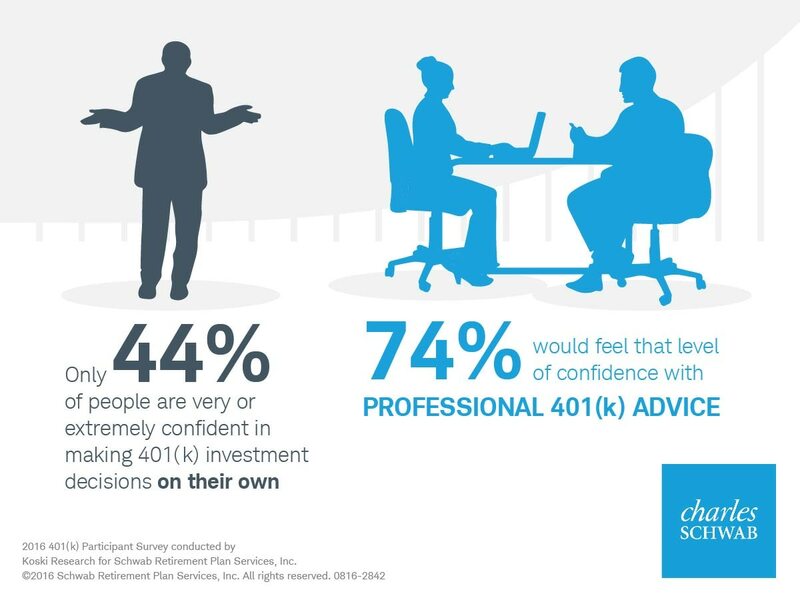 Advice and the Affluent Investor: A Study of Attitudes and Behavior by Charles Schwab (AAIS) surveyed more than 1,000 affluent Americans who receive some form of professional financial advice. Based on an online survey of U.S. workers eligible for a workplace 401(k) plan, half of whom are actively saving in it and half of whom are not, conducted by Koski Research for Schwab Retirement Plan Services, Inc. Koski Research is neither affiliated with, nor employed by, Schwab Retirement Plan Services, Inc. The survey is based on 1,000 interviews and has a 3% margin of error at the 95% confidence level. Survey respondents worked for companies with at least 25 employees and were 25–70 years old. 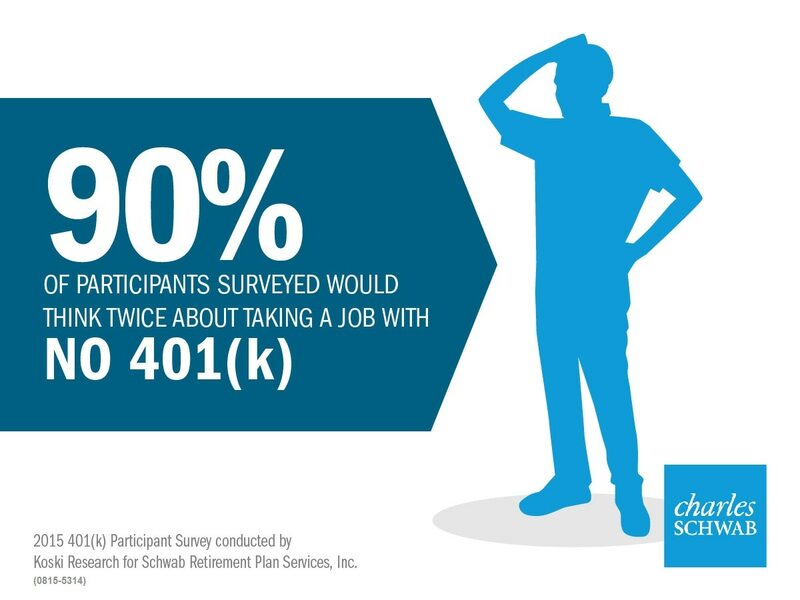 Survey respondents were not asked to indicate whether they had 401(k) accounts with Schwab Retirement Plan Services, Inc. All data is self-reported by study participants and is not verified or validated. Respondents participated in the study between June 2 and June 18, 2017. Detailed results can be found here. Schwab Retirement Plan Services, Inc. is a subsidiary of the Charles Schwab Corporation. Investors should consider carefully information contained in the prospectus, including investment objectives, risk, charges, and expenses. You can request a prospectus by calling Schwab at 800-435-4000. Please read the prospectus carefully before investing.